Lake of the Woods Minnesota is one of the largest freshwater lakes in the world with 1,000,000 acres of prime musky fishing. The breath-taking international waters provide some of the best musky fishing in the world. Fishermen flock to the area during summer searching for that next record breaking catch. Musky Adventures is a Lake of the Woods fishing guide service that will put you almost on top of the fish and help you catch that musky! We base our operations from the Northwest Angle, which offers easy access to both Minnesota and Canadian waters, all 65,000 miles of shoreline. The waters near the Northwest Angle of Lake of the Woods give you access to a variety and large volume of fishing, but this is where the musky fishing is at its best. 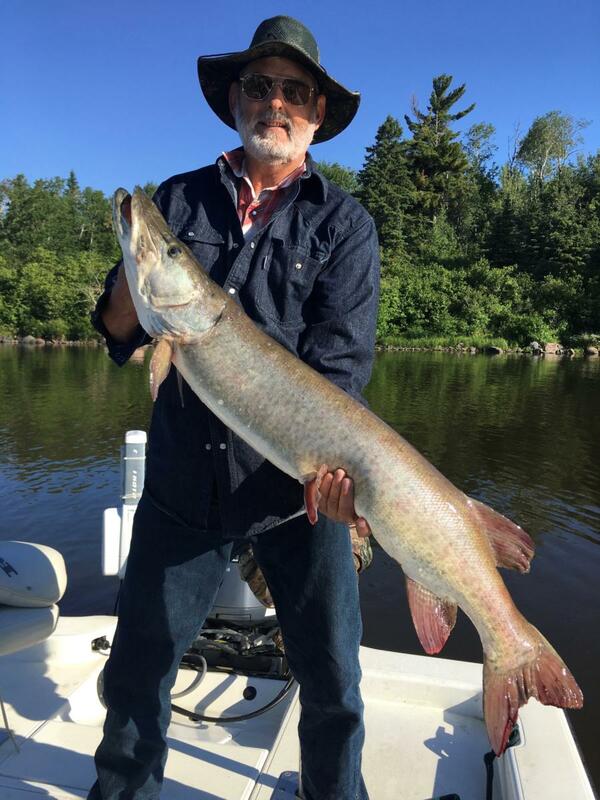 To enhance your musky fishing trip, we offer professional fishing guides that will use their fishing knowledge to help put you in the middle of all the action. August 1st David Ham and son James and Tanner Ringstad Embarked on an evening Musky hunt and the fish were moving. 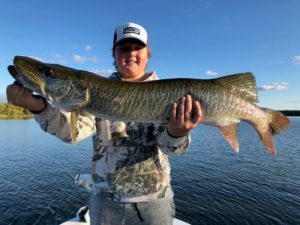 Young James ,age 14 was using a 1/2 ounce black and blue Jolt spinnerbait and Bing Bang Boom boats three musky 33”,36”,and this beautifull 40”Tiger Musky to finish the evening. What an action packed three hour tour. 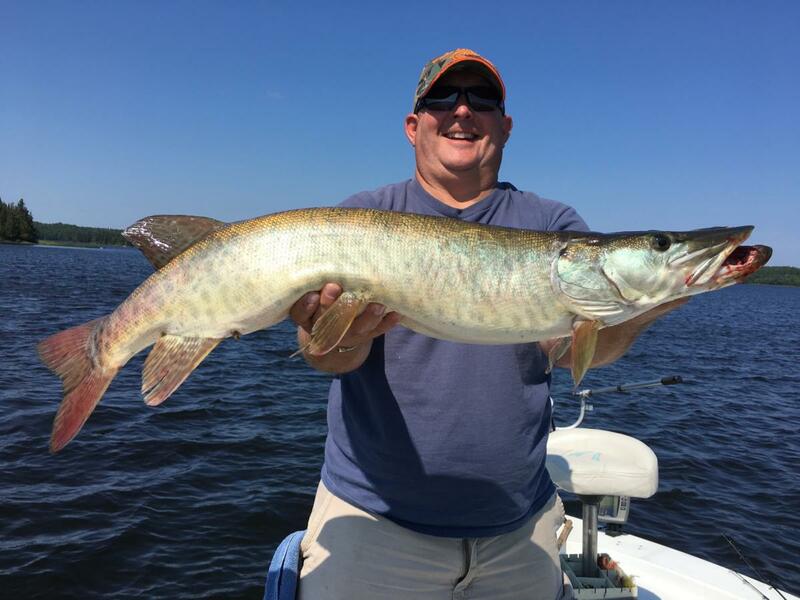 Mark Cessna and Erik Stow timed their Musky fishing trip righ in July 2016. 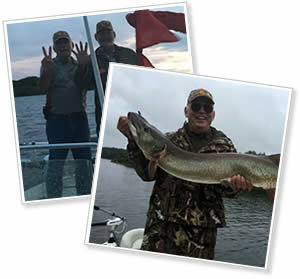 Fishing for four days with Captain Chuck Leach, Mark and Erik caught and released 18 Musky that measured up to 47 inches. Starting on Thursday, July 7th we released three Musky with the largest being 42 inches. After that the fishing heated up Friday releasing six fish that were up to 47 inches and on Saturday we released seven musky. The trip ended on Sunday with two more realease making for an exciting four days. 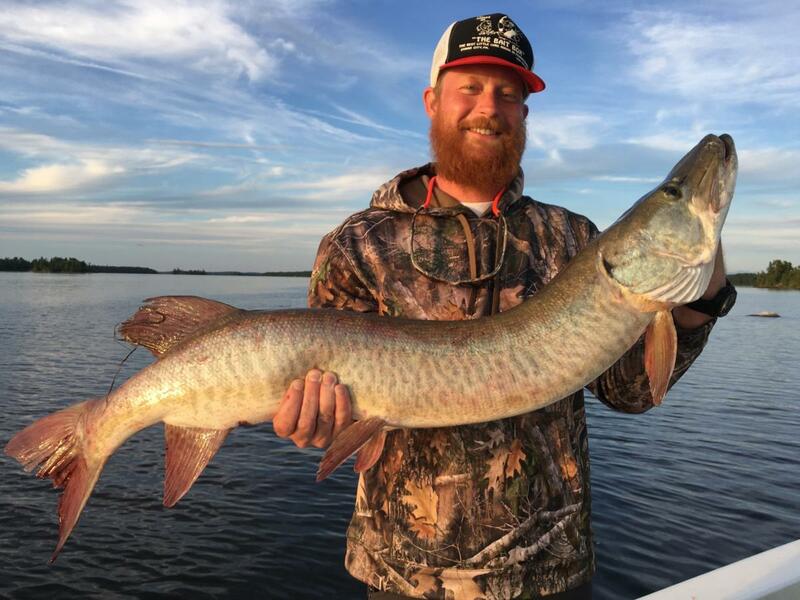 From June through October, Musky Adventures offers you an excellent guided fishing experience on Lake of the Woods where we do everything we can to put you as close as possible to trophy muskellunge. Book your Guided Musky Fishing Adventure and enjoy some of the best fishing ever! If you are traveling to Lake of the Woods, Minnesota for some outdoor time, then make sure you don’t miss a muskie fishing adventure you won’t soon forget! We will guide you to the fish! To find out more about reserving your Musky Adventure, fill out this form below. If you are ready to reserve, then simply fill out our reservation form.